I distinctly remember my father introducing me to this film. 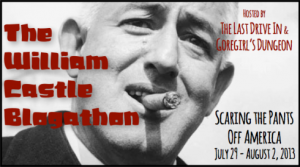 I remember sitting in the living room with him as we watched it, and I remember him repeatedly saying “Watch, watch, when the chair hits Edward G. Robinson in the back of the head” every time that gag was repeated in the film. I remember loving this movie from the first time I saw it. I remember watching it whenever it was on TV, and I remember recording it onto a cassette tape so that I could listen to it over and over again (a treasure that I kept for many, many years). I remember loving the opening song “All My Tomorrows” and I remember determinedly singing “High Hopes” as I was roller skating around the block for the umpteeth time, exhausted and running out of steam but resolute to continue (oops there goes another rubber tree plant)… All of these memories are crystal clear in my mind even to this day — so how could I not love this movie??? Tony: Okay, once more, who’s the greatest champ of all time? Ally: For one million dollars? Tony: For one million dollars! Ally: That’s easy! You are! Tony: Like good ole Adam, my weakness is Eves. My current Eve is a ‘lulu’. She woulda made the serpent eat the apple. Mario: He hung up. Ever see such a man??? Calls me for a loan and then hangs up on me. Sophie: Never mind about that, what did he say about Ally?!? Mario: What’s the difference what he said? Even when he’s lying, he’s lying. Ally: Marilyn Monroe! Hurry Up! Keenan Wynn (right) as Jerry Marks, Tony’s old friend who made it big. Jerry: Get Walt Disney on the phone for me, right away! Ally: He’s not a bum. He’s my pop and he’s a champ. Don’t let him call you that Pop! Shirl: You think I wanna settle down with a 12-year old kid? Why do you think I left my husband? Him and his whole family kept bugging me day after day… have a baby, have a baby. Who needs a baby? I’m a baby myself. I wanna be free… have fun. Shirl: You don’t. You’re not selfish enough. Tony: You kidding? I’m the most selfish man in the world. Shirl: Would you leave your kid? Mario: You know your trouble? I’ll tell you. You’re not satisfied to be just getting along like everybody else. You want to be a millionaire. You want to live on Easy Street. Easy Street! I’ll tell you who lives on Easy Street — nobody! You want to make a million over night! Well it don’t happen that way. I’ve worked hard all my life — 14 hours a day and I made a good living. I never took a vacation in my whole life, and I’m proud of it. Tony: Is that so? You think I’m worried about what you say? Tony: I got imagination. You got no imagination. Mario: I haven’t got any? Mario: You got it and you’re poor! Tony: No, no, no. Broke many times, but never poor! You would never understand that. Mario: Settle down with a nice little store. Find a nice little woman. Live in a nice little town. Tony: Listen, don’t you think that’s all I think about every minute of the day, every day. So help me, I should drop dead right here! Mario: If he dropped dead all the time he was supposed to drop dead, I’d go into the cemetery business. Tony: You’ve had some luck Ally… lucky Ally… You must have been hiding behind a pole or something the afternoon they gave away the Daddies. I don’t know, lately, you know, I could be walking right past a solid block of gold, and if I touch it, splish, spaghetti, right in my hands. Mrs. Rogers: Who’s going to eat all the groceries? Tony: Mrs. Rogers, maybe you didn’t understand me, but I needed you — for a stooge. Tony: What do you want from me, my blood? What do you want me to do…crawl on my hands and knees? All I ask, you lend me a couple of bucks — you expect me to become a penny-grubbing five and dime character like you. You expect me to change my way of life — be you instead of me! Not a chance! You take your big brother sanctimonious act back to NY and turn blue! Tony: I can’t go through with it Ally. I mean, you think I’m a champ? Do you think a champ would marry a nice woman like Mrs. Rogers to get a few lousy bucks from your Uncle Mario? Mario: Ally, go pack your things, tomorrow morning you’re coming to live with us. Tony: He’s not going nowhere. Mario: Now don’t you try to stop me. I’ll go to court if I have to. You haven’t got any money, no home, no job. And that’s the end of it. Ally’s going to live with us. Tony: I guarantee you I’m gonna have all the money I need by morning and without your help… And you know something else, you know that Easy Street you were talking about, nobody lives on. I’m gonna wind up owning it brother Mario. And you, don’t look so unhappy. Nobody’s gonna take you away from me. Sophie: Oh Mario. Maybe we shouldn’t. He loves him so much. Mario: What do I care, love. Tomorrow’s he’s out on the street, that’s what he is. What’s love anyway? Is it gonna put a roof over his head? Is it gonna fill up his belly? Sophie: Suppose Tony gets the money tonight. Mario: Suppose, suppose it snows in this lobby, suppose. He’s a bum! Tony: What a hunch bet this is! Lucky Ally! I tell you when I get hot, I really get hot, and I’m red hot this time. I got a feeling everything’s coming my way! Jerry: Are you sure you can afford it. Tony: Are you kidding? It’s only money! Jerry: That’s what I like to hear! Sophie: Tell us. What’s the matter? Tony: I lost the money and I lost the car and I haven’t got a dime. Tony: Sophie, Mario… I was wondering if, well… would you take Ally to live with you? Sophie: Ally? But he don’t want to go with us. Tony: I don’t care what he wants. And don’t put me through a ringer Sophie, not you. You were absolutely right Mario. I’m nothing but a bum. Never have been anything but a bum. I had the money right in my hand, but I blew it trying to impress a guy who knows me like a book. Like you know me. Like everybody else knows me — except me. A cheap, chiseling, conniving bum. And I don’t want Ally to be like that, so please take him with you. Tony: Listen, I know what you’ve been to me– like a father since I was a kid. Just do me one more favor. Mario: I got the check book in my hand. Tony: Not that, no, no, I want you to take Ally. He’s not like me, he’s a good kid, he needs a chance. Tony: Come here son. I think we better talk this over like a couple of men. I’m broke. I lost all the money. I can’t even feed you. Tony: But tomorrow we may not even have a place to sleep. Ally: I don’t care WHERE we sleep. Tony: Listen, I’m going on the road anyway. You know me, I’m the champ. I bounce back like that! Right? So you go up to New York and live with them and if you don’t like it, I’ll put you in one of those fancy military schools where you can wear one of those hats with the strap under the chin and look like a big general. Ally: No Pop — I don’t want to be a general! I want to be with you! You promised! Please Pop, don’t send me away. They don’t need me. You need me! Tony: Where’d you get the idea I need you? I need you like I need a hole in the head! How can I operate with you around? I lost Shirl. I lost the hotel. I’m broke only because I had you on my back all the time. That’s why. That’s why I couldn’t operate. So you go in there and pack your clothes. I don’t want you around anymore. Did you hear what I said? Sophie: Ally, he’s a little boy at 41 years old, and you’re a grown man at 11. But he loves you Ally, he really truly loves you. Ally: I’ll never speak to him again as long as I live. Sophie: The poor things… they’re so happy and so poor. Mario: No, Sophie. Broke, yes, but they’re not poor. We’re poor. Come on, you’ll cry later. The meter’s running… the meter’s running… what do I care if the meter’s running? I could buy you and a hundred meters! Come on, let’s take a vacation! 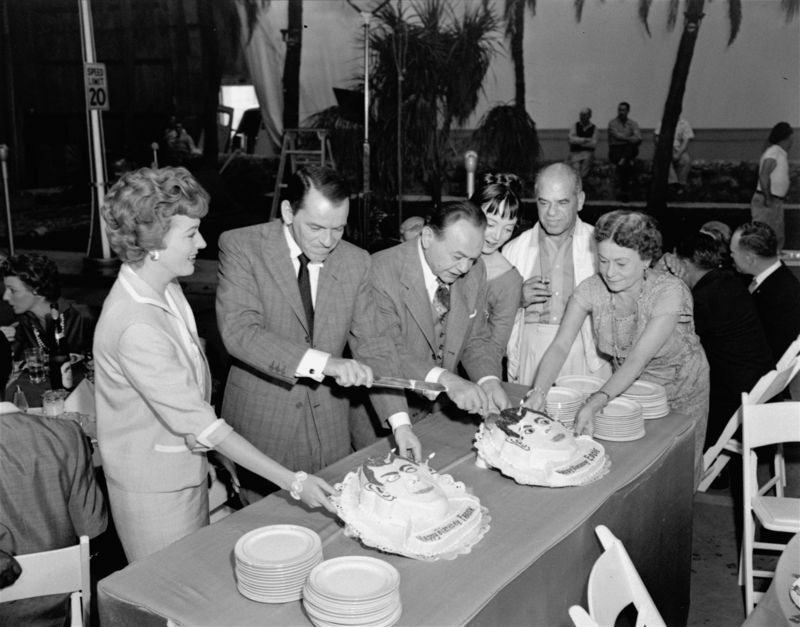 A birthday celebration for Frank Sinatra and Edward G. Robinson, who share the same birthday, on the set of A Hole in the Head on December 12, 1958. Sinatra, born in 1915, turned 43 and Robinson, born in 1893, turned 65. Left to right: Eleanor Parker, Sinatra, Robinson, Carolyn Jones, Frank Capra, and Thelma Ritter. 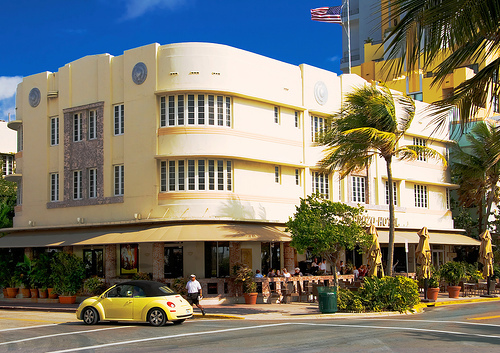 The actual hotel used for the exterior Garden of Eden shots was the Cardozo Hotel, located on Miami Beach’s Ocean Drive. The film was based on the Broadway play of the same name which debuted at the Plymouth Theatre on Broadway on February 28, 1957. 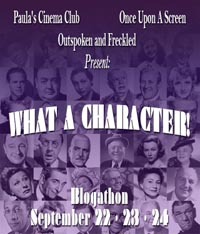 Actor Paul Douglas played the lead role. The show closed on July 13, 1957 after a total of 156 performances. 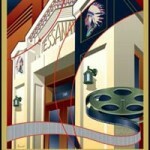 Sinatra’s agent, Bert Allenberg, bought the film rights for $200,000. 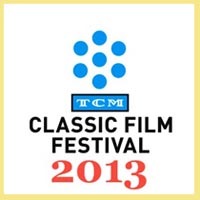 A Big Thank You to the marvelous Classic Movie Blog Association for hosting this very special event! 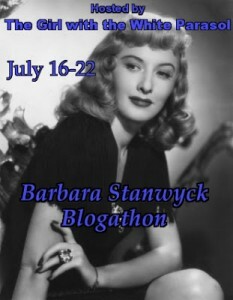 There are so many more wonderful Classic Bloggers participating in this event so please be sure to check out the other entries. 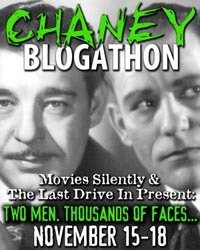 This entry was posted in Blogathons, Posts by Annmarie Gatti and tagged A Hole in the Head, CMBA Blogathon: Fabulous Films of the 50s, Edward G. Robinson, frank capra, Frank Sinatra, High Hopes by Sammy Cahn and James Van Heusen, thelma ritter. Bookmark the permalink. Thanks for sharing your very personal recollections of “A Hole in the Head”. “High Hopes” has carried me through a lot of rough spots, including the spots that weren’t as rough as I imagined. When I was a kid watching this I would worry so about the family. It’s a little easier nowadays when I just smile at Edward G. Robinson’s performance. He has that effect on me. I understand exactly what you mean about “High Hopes”! 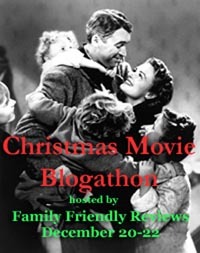 Lovely post on a very sweet film. It warmed my heart to remember it while I read your screen caps. And I loved your sharing of your childhood memories about it – some films are so special just for that. Thanks so much! 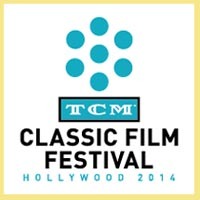 Just love being in the Classic Movie Community for exactly that reason — it’s like we’re all family, truly enjoying and sharing such wonderful films, moments and memories! Thanks for sharing your memories of first watching AHITH. I can see what it’s so special to you. 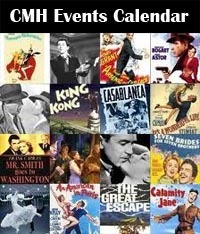 I have very similar memories from watching classic films with my mother at a very young age. 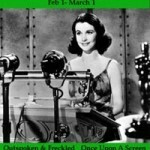 I’m very grateful to her for getting me started on my journey involving classic cinema. Without that I certainly wouldn’t have ever met all the fascinating, talented writers within the CMBA and elsewhere. A fun review and the candid photos on set as well as the then and now photos of one of the locations was just icing. 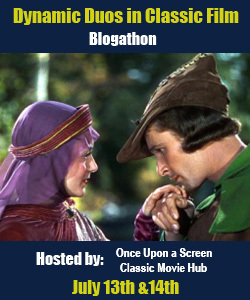 So glad you could join us for your first CMBA Blogathon. I knew the song “High Hopes” long before I saw the movie. We sang it in music class at school and it was on an album of Oscar songs we got as part of a gas station promotion. Your charming review was almost as good as watching the film again! 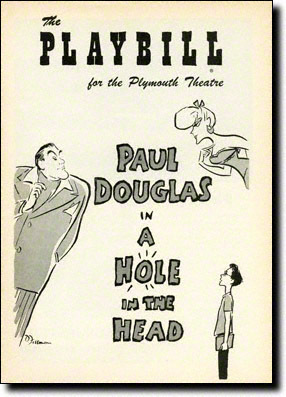 I would have loved to have seen Paul Douglas in the stage version. Wish we would have sung “High Hopes” in music class! Such a fun and inspiring song! Would have loved to see this on the stage as well. Such a gem of a film! Oh boy. I’m feeling a little sheepish because, not only have I not seen this movie, I’ve never even heard of it! 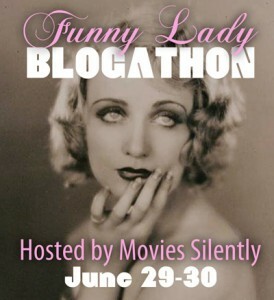 (And I call myself a classic movie blogger – yeesh!) 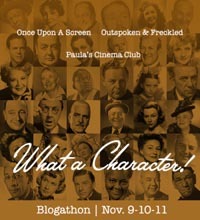 What a fabulous cast, and I love the premise. Thanks for reviewing this movie, and prompting someone like me to see it ASAP. 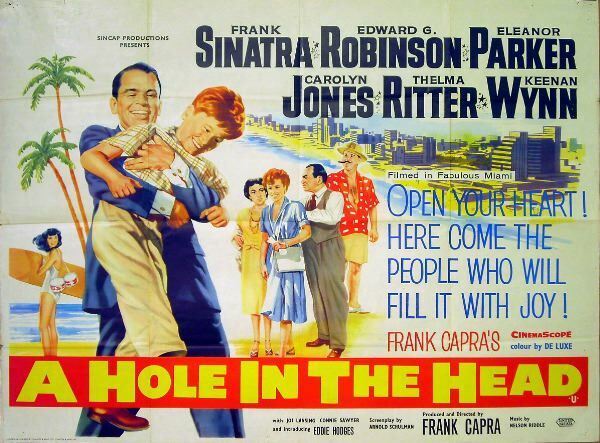 Frank Sinatra made his best films in the ’50s, and there were so many of them that I think “A Hole in the Head” sometimes gets lost in the shuffle. “High Hopes” was a big hit at the time the movie was released, on the radio all the time, so I knew the song years before I saw the movie (too young to go to the theater alone at the time). Your enthusiasm for the film is so infectious, Annmarie, that you rekindled my own affection for it. You also pointed out a thing or two in the film that I’d never noticed. Nice work!